If motion pictures were invented roughly a century earlier, we’re sure George Washington would have loved them. To us, there’s no better way to celebrate our founding fathers on Presidents’ Day than with film, a historical achievement. OK, maybe we’re reaching — but whether you’re craving an adrenaline rush or planning a fun outing with your family, AMC has movies for everyone. See what’s playing this three-day weekend at a theatre near you and get your tickets today. For diehard fans, the hype surrounding Marvel Studios’ BLACK PANTHER has been building for years, and based on our on-set sneak preview, the film will certainly be worth the wait. Though the character was first featured on screen in CAPTAIN AMERICA: CIVIL WAR, the new BLACK PANTHER will center solely on T’Challa, who returns home to become king of Wakanda. As he learns to accept his fate and become the ruler he wants to be, a powerful old enemy reappears and threatens to destroy not only the isolated African nation, but also the entire world. 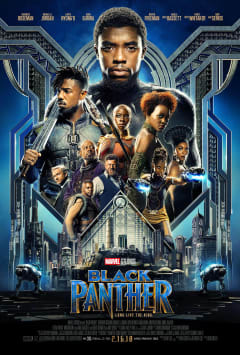 Watch our exclusive interview with director Ryan Coogler and star Chadwick Boseman, and hear why you should see BLACK PANTHER in RealD® 3D at AMC. The third and final installment of the MAZE RUNNER series has arrived, after a nearly year-long delay due to star Dylan O’Brien’s set-sustained injuries. In this epic finale, Thomas leads his group of escaped Gladers on their most dangerous mission yet — to break into the Last City and save their friends. The silver lining: They’ll finally get answers to the questions they’ve been asking since they first arrived in the maze … if they make it out alive. 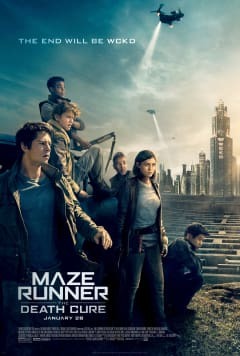 MAZE RUNNER: THE DEATH CURE debuted at the top of the box office charts and has already surpassed last year’s YA sci-fi film VALERIAN AND THE CITY OF A THOUSAND PLANETS in gross domestic revenue. 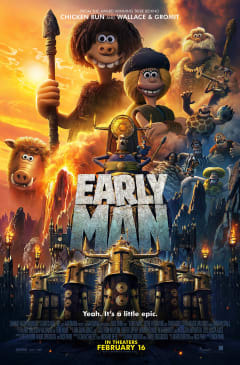 In his first feature film since Academy Award®-winning WALLACE AND GROMIT: THE CURSE OF THE WERE-RABBIT (2005), Nick Park takes us back to the Stone Age in EARLY MAN. Set at the dawn of time — when prehistoric creatures and woolly mammoths roamed the earth — EARLY MAN tells the story of scrawny but spirited caveman Dug and his pet boar, Hognob. After the mighty and evil Lord Nooth and his Bronze Age City invade with a literal bang, Dug must unite his tribe to save their home — with help from his trusty sidekick, of course. If you loved CHICKEN RUN or any of the WALLACE AND GROMIT series, you will love this new film from Aardman Animations, which is known for its stop-motion clay animation techniques and idiosyncratic British humor. A beloved classic for generations, Beatrix Potter’s PETER RABBIT finally hops onto the big screen in this new animated adventure-comedy. 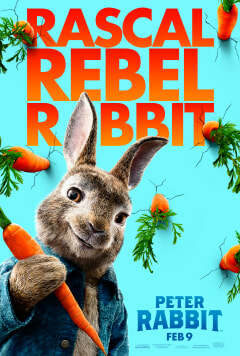 The mischievous rabbit is as ornery as ever; his feud with Mr. McGregor (Domhnall Gleeson) escalates after McGregor returns to find his home — and his garden — a mess from Peter and his pals. But the two must be on their best behavior when warm-hearted neighbor Bea is around (Rose Byrne). James Corden — best known for The Late Late Show, specifically his Carpool Karaoke segment — voices the character of Peter, with Margot Robbie, Elizabeth Debicki and Daisy Ridley performing the voice roles of the triplets, Flopsy, Mopsy and Cottontail. Hear more about the funny film from the stars in this AMC exclusive interview. Christian and Anastasia return for one last romantic adventure. Gather your girlfriends for the climactic finale of the FIFTY SHADES trilogy at AMC. In FIFTY SHADES FREED, the newlyweds get closer than ever — settling into their shared life of luxury and beginning to build their future. But it’s not all marital bliss. Just as the Greys step into their new roles, sinister events come to light and jeopardize their happy ending before it even begins. Before you watch, meet for cocktails inspired by the film: Something Blue and Forbidden Fruit, available at participating MacGuffins® Bars & Lounges at AMC. With the 90th Academy Awards less than a month away, the clock is ticking to see the Best Picture nominees on the big screen. 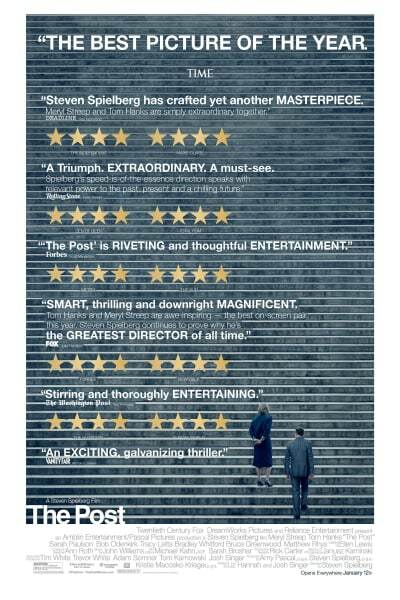 Based on a true story, THE POST is a thrilling, timely drama surrounding an unprecedented battle between the press and the government. 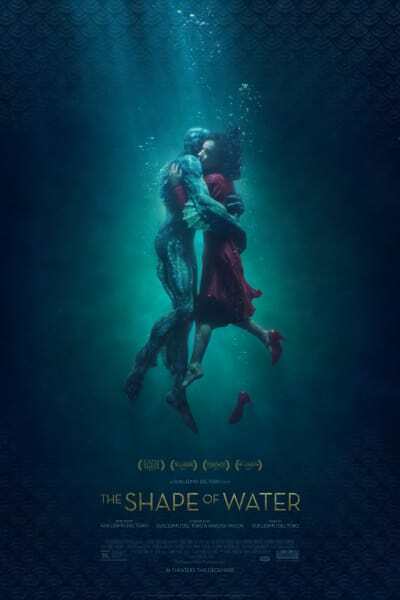 Despite barriers, a mute custodian and amphibious creature fall in love at a top-secret government lab during the Cold War era..
A mother mourning the violent murder of her daughter seeks justice with a message directed at local Chief Willoughby. DARKEST HOUR is an intimate portrait of newly appointed prime minister Winston Churchill at a crucial moment in his life and in World War II. 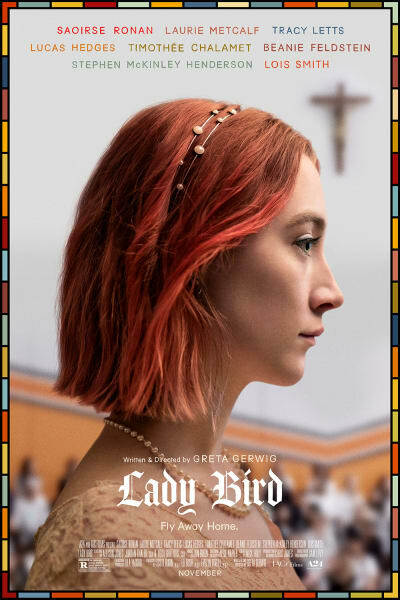 Christine “Lady Bird” McPherson is desperate to escape her family and small town constraints in this somewhat autobiographical tale from Greta Gerwig. Set in 1950's London, Reynolds Woodcock is a renowned dressmaker whose fastidious life is disrupted by Alma, who becomes his muse and lover. 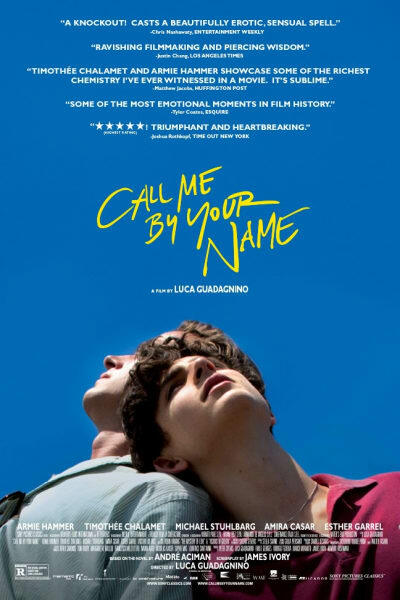 This coming-of-age drama is an emotional journey of self-discovery and first love for 17-year-old Elio Perlman. Don’t miss these tantalizing titles and more at an AMC near you. Browse showtimes and get your tickets today.